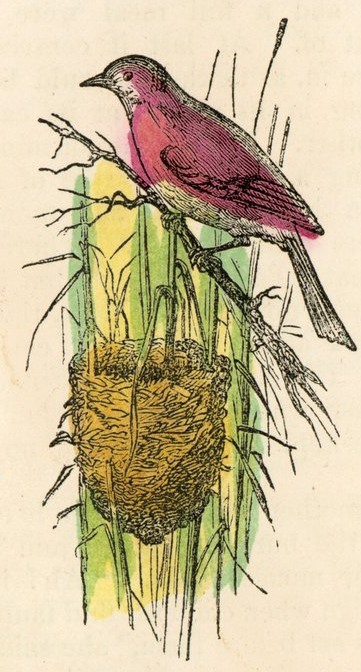 Wonderfully vintage hand colorized bird and nest drawing. This public domain bird image is ready for printing, downloading and using in your next creative project. It is in the public domain because it was not attributed to an illustrator and was published over 120 years ago, in 1850. The book in which it appeared was White Violets which was published by George W. Hobbs.